12A is rated current. The unit can work long hours at this current and good cooling environment. The actual output current depends on circuit loads. Protection: Shortage Protection, Overload Protection, Over-voltage Protection:115%-135%,Action output cut-off Reset:Auto Reset or fuse. .. 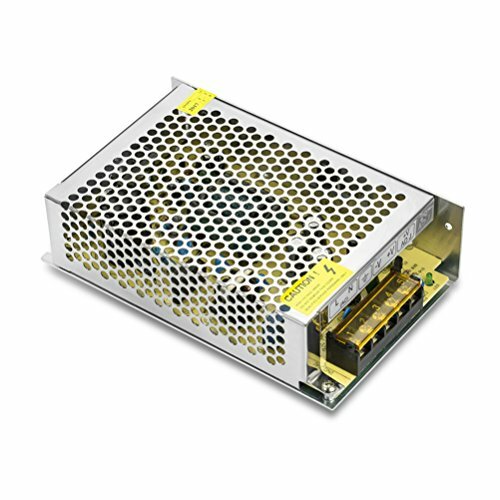 Application:High quality Switch Power Supply Widely used in Industrial automation, LED display, communications, etc. GUARANTEE. 1 Year manufacturer 100% money back guarantee warranty! If you have any questions about this product by PHEVOS, contact us by completing and submitting the form below. If you are looking for a specif part number, please include it with your message.